Pillowball Upper Mounts: Front mounts utilize a pillowball design for optimum performance. 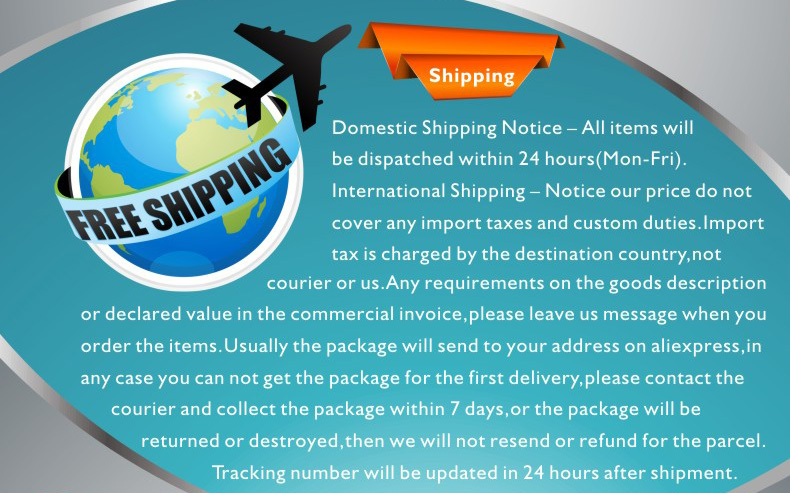 Thrust Bearing Kit: Helps eliminate the chance of spring bind common on coil over systems. 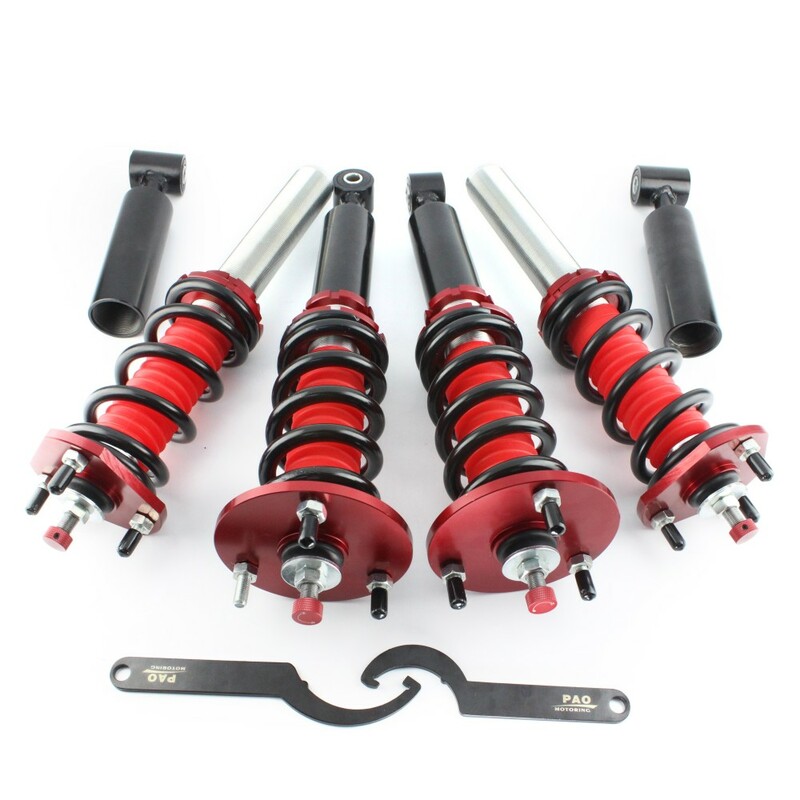 Front Camber Plates: All ISC N1 coil over kits include camber-adjustable front mounts. Piston Rod Design: High rigidity steel piston rods meet race standards. Shafts are valved according to the version selected. A shock dyno is used to ensure quality and consistent results. 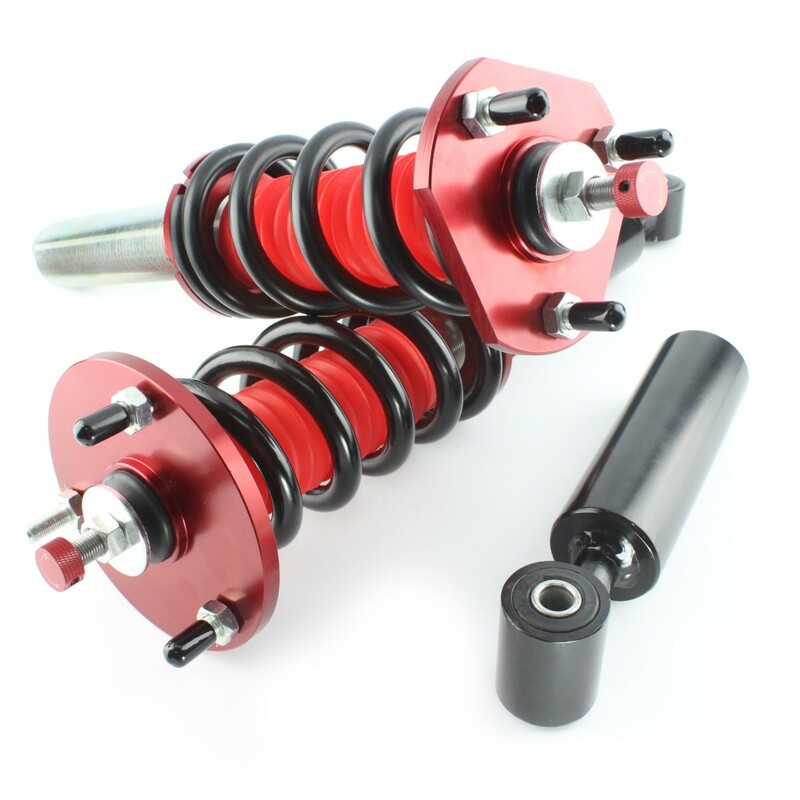 Single Cylinder Design: Mono-Tube damper with high pressure nitrogen. 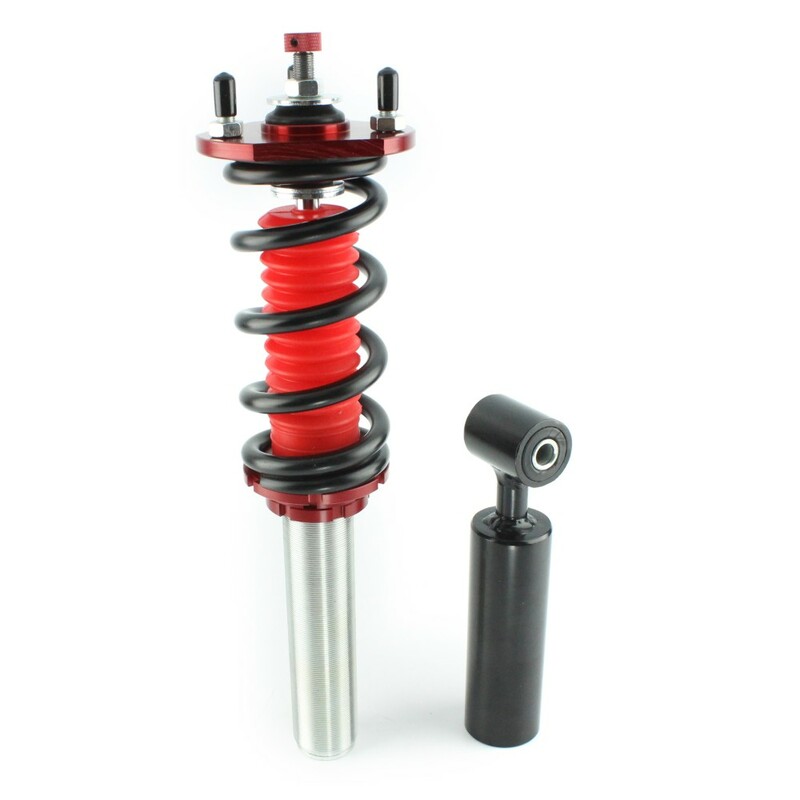 Threaded Shock Body: Threaded portion of shaft is powder coated then salt spray coated for optimum street durability. We suggest use of anti-seize for threaded portions for even further protection. 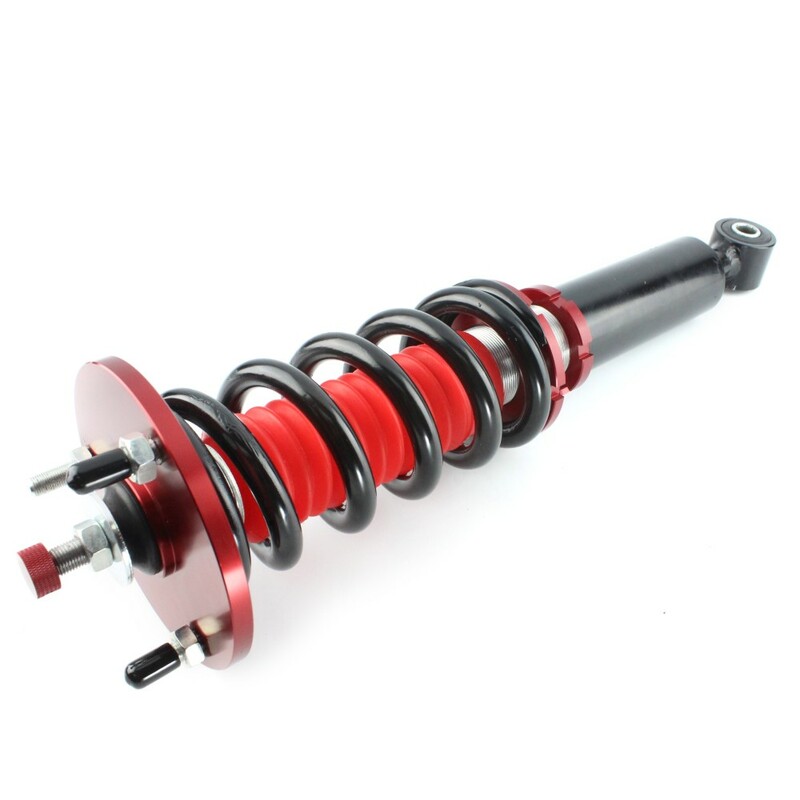 Sport Spring: Made from high quality SAE9254 steel. Dyno tested over 500,000 times on compression with less than 5% deformation. Spring rates vary by version. Ride Height Adjustable: Full Length height adjustable. 3 inches or more on most applications. 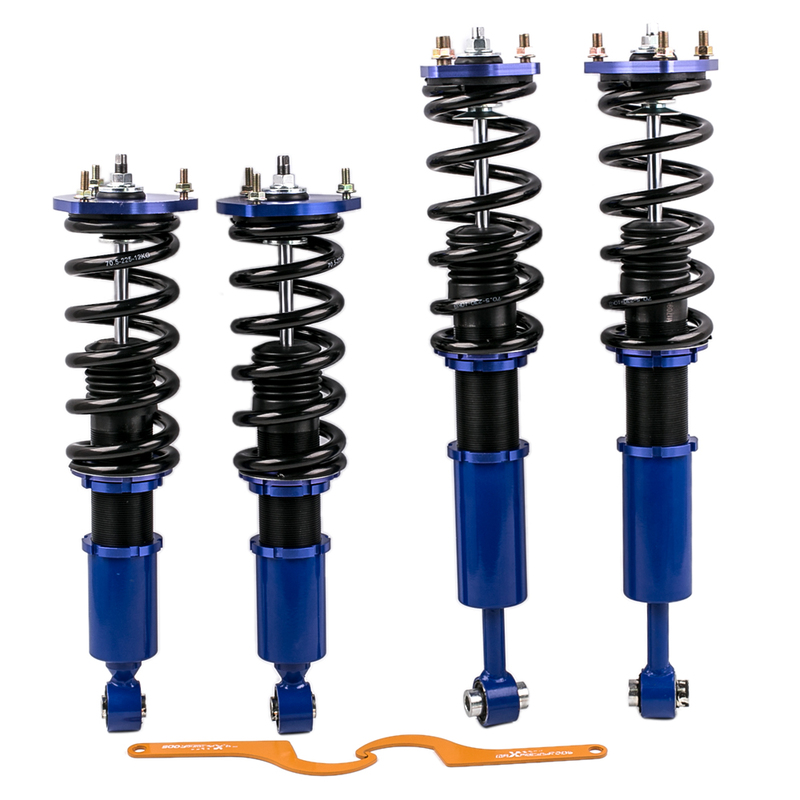 Bound Adjustable with Separate Spring Locks: Unlike many coilovers preload is separate from ride height. The lower you go the ride quality stays the same. 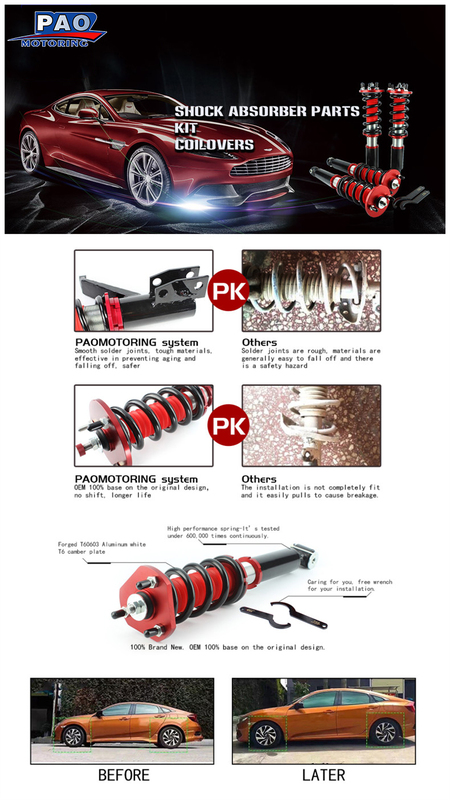 5 Year Warranty: Pao motoring warranties it\'s products to the original purchaser against defects in materials and workmanship for 5 years.